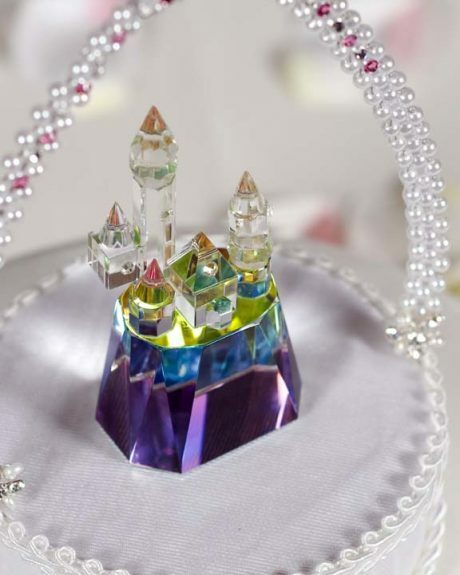 This beautiful cake topper features a faux pearl arch with pink Swarovski crystal accents, and a beautiful hand cut crystal castle. Base is wrapped in moire and accented with silk cording. Perfect for a Cinderella fairy tale themed wedding!